The NAS Building is now open to the public from 9 a.m. to 5 p.m. on weekdays. Photo IDs are required for admittance. 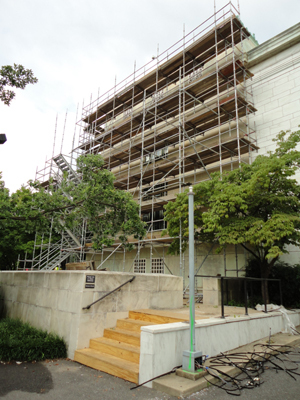 From June 2010 through June 2012, the National Academy of Sciences (NAS) underwent a major restoration of its building at 2101 Constitution Ave., N.W. The project has restored and improved the building’s historic spaces, increased accessibility, and brought the building's aging infrastructure and facilities into the 21st century. Get general information about the project and view photos of the restoration in progress via the links below. General information about the restoration.